Henley Honda | Vehicle Safety | Why Do I Need An Oil Change Anyway? Why Do I Need An Oil Change Anyway? Every 5,000 kilometres or so, without question, we take our vehicles in for routine maintenance. More specifically, we get an oil change. You don’t know why it’s so important, but you know it is and you do it. If only because you’re told you have to. So why do we need regular oil changes anyway? As your vehicle`s engine parts move and rub against each other, the force creates friction which creates heat. The oil decreases that friction and absorbs the heat and takes all that grit and dirt away, leaving your engine running smoothly. After all that work lubricating, cooling and cleaning your engine, oil starts to lose its integrity. 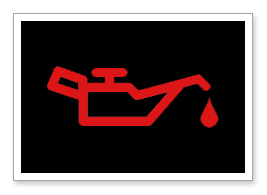 Your engine oil starts to deteriorate and the additives start to lose their effect. The oil changes from the golden colour it was to a dark brown and finally, black. It turns from smooth and slippery to runny and thin or thick, gooey and gritty. Once you lose the golden colour and smooth texture, your oil isn’t doing its job, so make sure to change it before it’s a problem. A quick oil change though, and you’re ready to hit the road again!